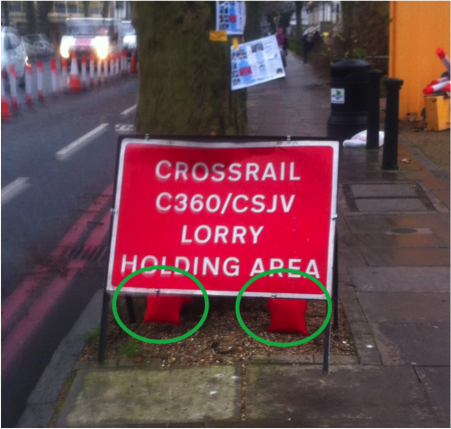 Vehicle marshals for the Crossrail C360 site were having to replace the sandbags on road traffic signs very regularly throughout this project due to splitting and wear & tear of the sandbags used. 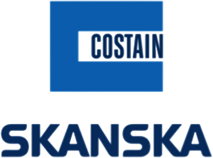 The team investigated alternatives and discovered the TrafficSack® products as an ideal replacement. After procuring some TrafficSack®s (7kg version), the team could simply soak the TrafficSack®s when required and use them as ballast without the risk of splitting. The use of the TrafficSack®s reduced costs associated with replacing sandbags, as there was less chance of incidents of splitting, and also reduced the risk of injury to marshals as the time in the road spent replacing ballast was dramatically reduced.